Guess what? My friends are after my life to publish this post! They are so eager and excited to get the new Wedge that they want to know my complete suggestions about it. 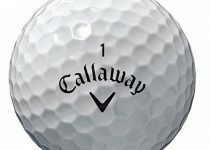 Well, I am pretty sure you guys are also way too curious to get some extras about this new product from Taylormade that’s the reason you’re probably reading my post right now, Haha, caught you! Today we’ll have the Taylormade ATV Wedge review. Let me ask you a quick question, do you think this product is worth it? Think about it, you shouldn’t just read it yourselves. TaylorMade products are always appealing whether it is their color, their name or simply their performance. So it’s not a surprise that there’s a story behind the ATV wedges. The new ATV has a unique sole design that changes the amount of bounce for different shots which means ideal performance from a variety of lies and surfaces. Taylormade’s theory is that not only does one level of bounce fit everyone; this one sole can work for any shot you’re looking to hit. The way that this club adjusts to different shots is three-fold. First, the sole is wider than on most wedges. The width of the sole extends a bit beyond into the turf than a normal wedge of the same bounce. Secondly, there is a convex section of the sole that hides the bounce when you don’t want to use it. And lastly, TaylorMade provides plenty of heel and toe relief to let you hit shots with the face open and closed. After the sole design, TaylorMade’s next innovation is the face, specifically the grooves. These new grooves produce almost as much spin as their previous grooves; TaylorMade has also combined a micro-texture print. The first thing a golfer would notice about the ATV wedges is that they’re really traditional. In addition to the essential sole design, TaylorMade has decided to gear up the wedges; to about the extent you can stuff up a blade golf club. The head itself uses two tons of grey. A darker color is utilized on the hosel, the sole, and underneath the notch of the sole that hangs down, while a lighter grey is used everywhere else – the rear of the club and the face. It is crafted from soft Stainless Steel; the wedges have a spectacular raw finish to them with the club-face being improved by the grooves. The hitting area is also highlighted slightly in comparison to the rest of the club. The hosel and face designs are comparatively less attractive, but the back of the club is considered as the center of attraction. TaylorMade’s logo decorates the toe of the back of the blade, and dividing it are two racing stripes, one black and one red. Distance control is fantastic and this is mainly due to the heavy weight of the club-head as well and how it improves a consistent swing speed and strike. It is a hugely useful club in terms of workability and spin and that is what golfers prefer. Why would anyone want to buy these? Is there a specific reason? Or reasons? Let’s find out. Take a look at the Pros of this piece of art. 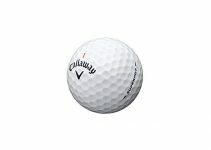 It has a Precise and consistent distance control which helps the golfers keep balance in their shots. Also, the beginners can comfortably practice their shots. It has a beautifully simple look, the texture that is made from satin also reduces glare at address, and this attracts anyone who buys this amazing club. It probably gives the experience of love at first sight. The enormous spin created from the micro-textured clubface of the club helps professional players as well as beginners and enhances the overall performance and game of the golfer. Taylormade, in all honesty, are almost always a good value for money proposition and the Taylormade Tour Preferred wedges are a winner from Golf Assessor’s point of view when comes to price. They are inexpensive and can easily be affordable by many. Although the Taylormade ATV wedge is a masterpiece anyone would fall for, it has some certain drawbacks too. Let’s find out what these are. The club is slightly heavy on the side which can be somewhat tough for the beginners to hold but that is not a big issue and can be manageable. 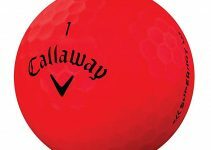 It does not have the best feedback on off-center strikes in comparison to some competitor clubs which can be an extreme drawback and a reason for the downfall of it. According to many, the Taylormade ATV Wedges are one of the most amazing clubs launched by Taylormade and is highly recommended by many golfers. Also, you can easily afford these yet, if you do not find yourself fit to carry a heavy club or cannot do without off-center strikes than this club might not be the perfect choice for you.